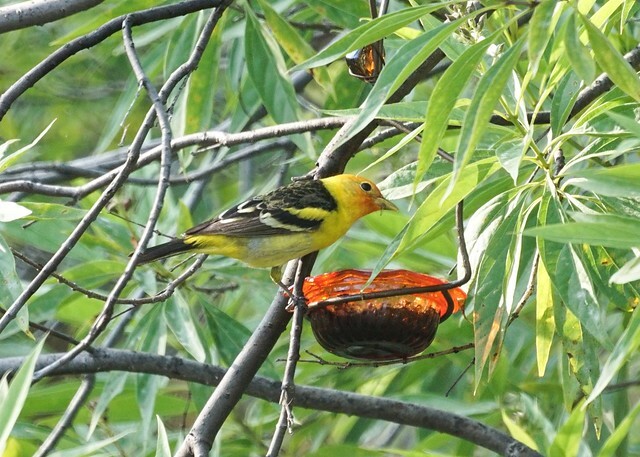 Some western tanagers have been hanging around longer than previous years. Perhaps it's the jelly feeder. 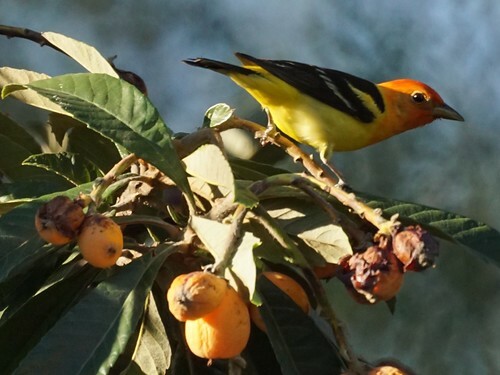 With all the fuss over the hummingbird, we forgot to mention the western tanagers that have stopped at our loquat tree during the spring migration. 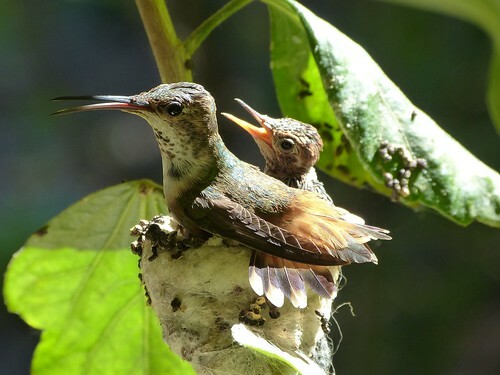 We missed the first flight of the fledglings from last year's hummingburd nest, so we tried hard to take videos this year. Luckily, Mike called Chris on the phone just as the last one was leaving the nest, so there is a narration of sorts of this video. 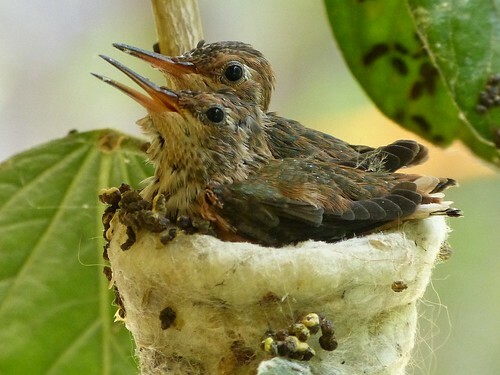 After a scare last weekend, things have returned to normal at the hummingbird nest. 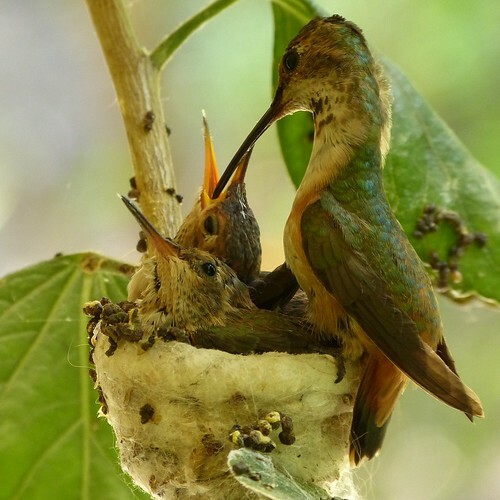 They are growing and the mother feeds regularly. Sometimes, we think she purposely sits on the babies to prevent them from being rowdy.